Can anyone give some direction on how to fix this IE issue. Firefox works fine all the time. > Exception in client-side code. First, could you check if the problem persists with a new nightly build? in the XForms sandbox and that reproduces this? I have tested this on recent nightly build Orbeon Forms dev-post-3.7.1.200910140016. Problem seem to be there only on IE when I use the form page as IFRAME inside another web page and submit the form. . This Client Side issue occurs only first time, further refreshing and submitting again works good. It also works good without as IFRAME. I am including both html and xhtml code. > again works good. It also works good without as IFRAME. contributing a solution for this. Srry this issue still seems to be there in IE7. 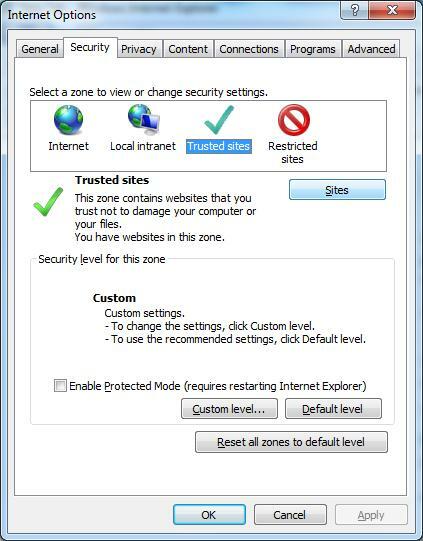 Clear the history,eveything in IE7, and i tested in orbeon 3.8 stable and nightly build on june 7 2010. > builds. I tested on nightly Build on June 8th 2010. > Thanks to Orbeon team. > Sent from the Orbeon Forms (ops-users) mailing list archive at Nabble.com. I am sorry this issue is still present in IE and inside IFRAME. To unsubscribe from Re: Re: Re: IE client side issue - form submit using go uri, click here.